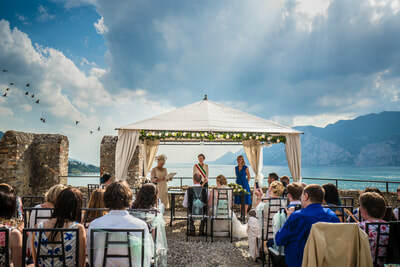 ​The civil ceremony is a fully legal marriage and by law can only be celebrated in property recognized by the governing authorities...mostly historical buildings with ceremonial parlours or terraces and municipal gardens. There are now however, some special cases where certain villas have been given the permission to host a legal civil ceremony. The Mayor or Civil Registrar will conduct the ceremony. The civil rite normally lasts about 15/20 mins, and by law must include the Italian civil codes (wedding articles). It is possible to enrich your ceremony with poems, readings or the exchanging of personal pledges. In most towns, the sworn statement has to be made 2 days prior to the wedding day. Two witnesses are required for a civil wedding. For couples having an elopment, we can ta﻿ke care of witnesses for you. ​Bride/Groom must both be single, legally divorced or widowed and a woman cannot get married if she has been divorced or widowed less than 300 days before the wedding. 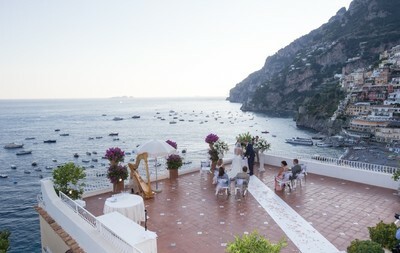 ​There are no residency requirements to marry in Italy. The main difference between a Civil Union and a Civil Ceremony is that in most towns, the couple must go to the townhall to make their request no earlier than 6 months and up to 1 month before the date they wish to celebrate their union. To get married in a Catholic church in Italy, it is important that at least one of you, is baptized a Catholic. Most churches will perform religious wedding ceremonies to non residents. 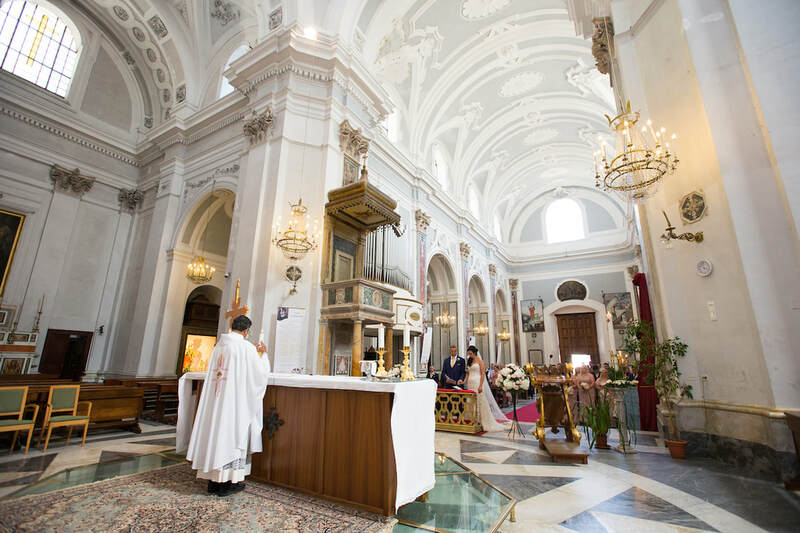 The first thing you must do is inform your Parish priest that you wish to marry in Italy and he will help you with the various documents and authorisations required for the celebration of a religious wedding. These must then be sealed or stamped by the Bishops office before being sent to your chosen church in Italy for approval by the Curia. One of the required documents is your civil marriage certificate and the procedure is made much simpler by having the civil portion of your marriage done in your country of residence. A symbolic ceremony or blessing is the simplest and most flexible way to celebrate your marriage. No paperwork is necessary as the ceremony is not legally binding and it is perfect for any couple wishing to commit themselves to each other with a beautiful ceremony, or who have already had a civil wedding in their own country. The content and style is limitless, as is the venue, and can be completely personalized. A symbolic blessing can be as formal or informal, as traditional or creative as you wish and held almost anywhere you desire.